Malcolm McGregor is a typical 4 year old boy. He likes Super Heroes, playing video games, and his family. On Christmas Eve, after NUMEROUS ER visits, doctor visits, and even a hospitalization, his parents heard the words no parent wants to hear: Your kid has cancer. 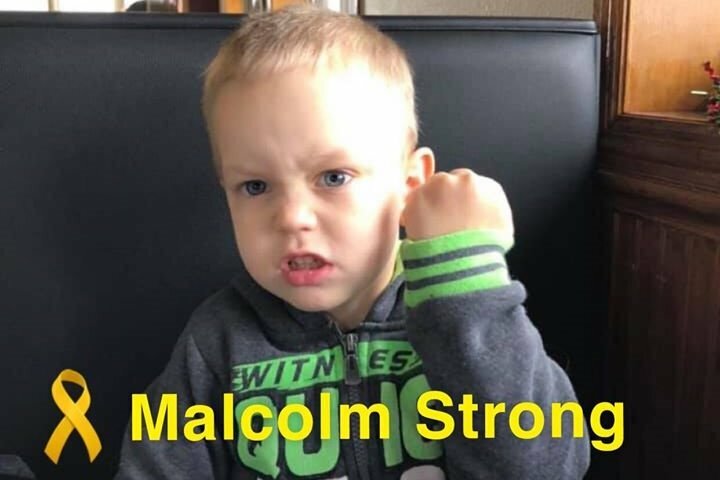 Malcolm is now in the fight of his life, as he battles Neuroblastoma. Mom and dad have two more kiddos at home that are on autism spectrum and have their hands more than full. Please donate what you are able and help spread the word. Malcolm is in for his third cycle of chemotherapy. Things have been going as well as they can, but we are constantly waiting for the other shoe to drop! We greatly appreciate all of the love and support thus far, and don’t know how we would make it through without all of you! After this cycle of chemo, comes MIBG in Madison. That will be a week of hotel stays for mom and dad, not to mention food and gas expenses as well! We are beyond thankful for all of the donations and support.